Saying Goodbye to Moldy Walls, Floors, and Carpets! Say Goodbye to Moldy Walls, Floors, and Carpets! Sometimes, change is good. In many cases, people choose to become closer to certain family members and friends. Or, they may choose to end unhealthy relationships. Many individuals think of this as a way to start a new chapter of life with a clean slate. People don’t always break up with other people for the new year, though. Sometimes, they break up with things. They part ways with items that aren’t helping them to improve their quality of life. And they separate from the things that are harming them emotionally and physically. Maybe that’s something you should do. You know, break up with something. It can be anything that isn’t doing you any good. Negativity. Low self-esteem. Bad eating habits. Moldy walls. Hold on a second! Did we just say moldy walls? Yes, we did! We know exactly what you’re thinking. What do moldy walls have to do with walking away from harmful relationships? Although the two subjects seem completely irrelevant, think about it for a minute. Of course, you and mold aren’t exactly best friends since kindergarten or high school sweethearts. But whether or not you realize it or not, mold has a very real impact on your day-to-day life. And, even if you don’t know it, mold spores could be causing major issues for you. Maybe you’ve seen a little mold here and there throughout your home but you haven’t really thought too much about it. But it’s absolutely important to cut ties with mold. Even though “mold in house” doesn’t really equate to “mold in heart”, it’s time to end the relationship you didn’t know you had. The one with indoor mold growth. Listen, It’s Not Me. It’s You. We’ve all heard people use the iconic line when they’re planning to end a friendship or relationship. They tell the other individual: “No, no, it’s not you! It’s me!” But, when it comes to mold, the opposite is true. You’re not the problem in your house. Mold is the problem. Mold in homes is pretty much the same as invaders or harmful individuals in homes. When you have a mold problem in your house, you have a big issue. See, mold doesn’t care about who it hurts or how it affects those around it. The spores spread out, landing and making themselves at home wherever the conditions are right. They take advantage of every opportunity to make your house their home. And, regardless of the attempts you might make in order to get rid of mold with things like bleach and sponges, it’s nearly impossible to remove the invaders without professional help. As you become more aware of mold’s negative effects on you and your home, you’ll find that choosing to get rid of that problem will be one of the most beneficial decisions you could make this year. That’s because choosing to say ‘goodbye’ to mold means choosing to say ‘hello’ to health and wellness. Believe it or not, even small amounts of mold growth can make your home unsafe for you and your family members. The effects of mold exposure can be extremely unhealthy. You, your kids, and your pets can all experience some unpleasant symptoms as a result of mold growth. Sometimes, you can become ill from mold exposure before you even see the growths in your home. Or, you might actually see the mold but you may not feel sick. But, in either situation, mold can cause some major health concerns. So, it’s best to end the problem ASAP! Say Goodbye to Moldy Walls, Floors, Etc. Mold, mold, mold. It’s literally one of the ugliest things you could find in a home. Well, that and the old furniture your dad refuses to get rid of. Anyway, since mold is both unsightly and harmful, it’s time to cut the ties. But, as with most situations of this nature, it’s hard to know exactly how to go about ending the relationship with mold. What do you say? Call or text? Have a friend call or text? Okay, so maybe all of that is a little too much. We’re talking about mold after all. But, still, it can be really tough to figure out how to get rid of this problem. Moldy walls, floors, and ceilings are no joke. And there’s no time to waste when toxic mold spores are involved. So, where should you start? First of all, let’s talk a little bit about what causes moldy walls, carpets, ceilings, and so forth. It’s important to first mention that mold spores are everywhere. And we mean everywhere! They are outside; they’re indoors. They are constantly floating here and there and, again, everywhere! It’s pretty much impossible to get rid of them completely. So, when people mention that they have a method of removing mold from your home, it’s not entirely accurate. See, although surface mold growths can be removed, spores are always going to be present. And, should the conditions return to a comfortable setting for these spores, you can rest assured that there will eventually be more mold growing in your home. 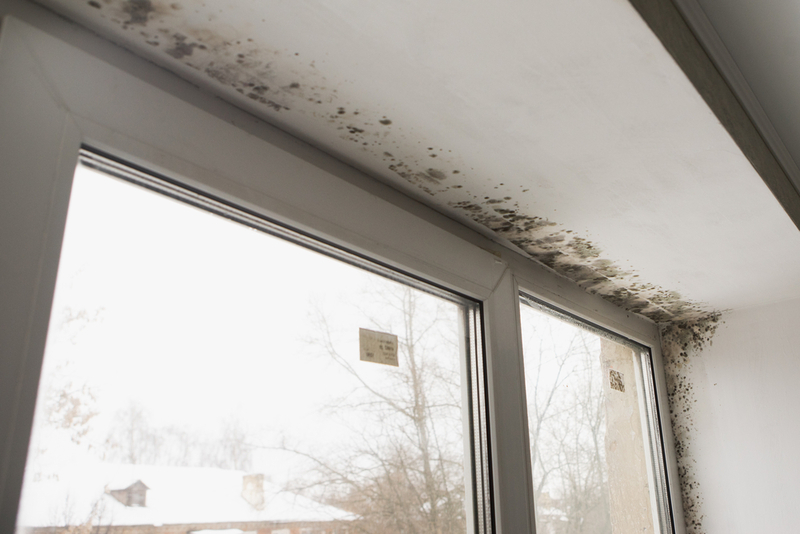 So, it’s best to figure out what’s causing the mold to feel comfy in your home. Once you discover the reasons for this, you can eliminate them, making mold much less welcome in your life and home. Example of mold caused by roof leaks. So, what causes moldy walls? Why do mold growths form on the walls of unsuspecting homeowners? Well, there are a couple of reasons this can happen. One of the main causes of mold growth on the walls is material. That’s right; the material out of which your walls are made can cause them to be susceptible to mold growth. Porous walls hold moisture pretty well, making them a great place for mold to grow. Drywall is a typically used substance when it comes to walls. But, it has a high level of cellulose, which is a certain kind of paint or lacquer. This substance attracts mold spores, making drywall a perfect landing place for these floating wanderers. Finally, if you have wallpaper on your home’s walls, mold spores might make a meal out of the debris in the glue. Food is one of the main things spores need in order to grow and spread. The floors in your home may become moldy for several reasons. If they become wet often and take in that moisture, it’s likely that they will develop mold problems. Standing water is a great place for spores to rest and feed. The ceilings can become moldy for similar reasons. If you have a mold problem right now, it may be dues to one or more of the problems we’ve mentioned. Now that you’ve identified those causes, it’s best to take the measures to make sure your home is free of excess moisture and kept at the right temperatures to avoid creating the right conditions for mold growth. 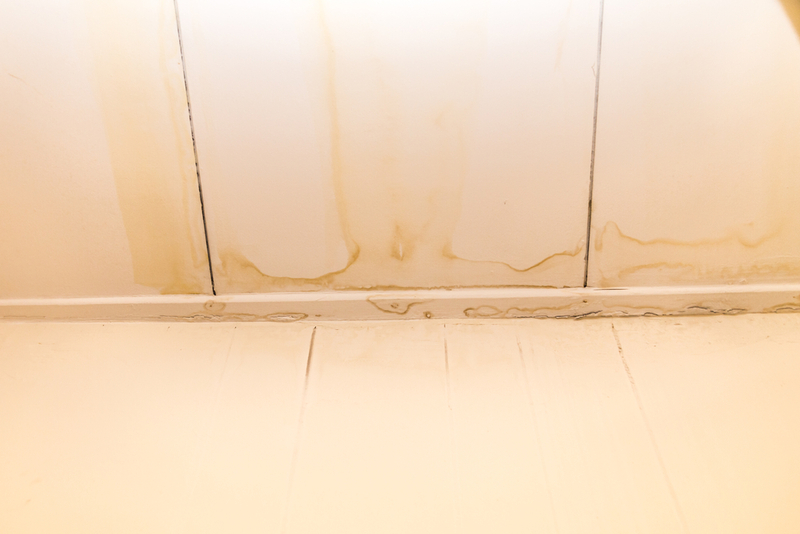 Alright, now let’s talk about what you can do to get rid of mold in your home. Some people may suggest trying a couple of DIY mold removal methods to get rid of mold growth in your home. But, it’s not really a good idea to try and attack the moldy walls and floors with buckets of bleach or covering it up with paint. Instead, it would be best to call in the pros. Professional mold remediators can do more than simply kill surface mold. they can remediate the problem, making sure to get to the root of the matter. We work thoroughly because your family’s health and happiness are absolutely worth it. Besides, mold is toxic. And you just don’t need that kind of negativity in your life. It’s time to part ways with the unpleasant effects of mold. It’s time to begin making your home safe for you and your loved ones. The people in your house will be grateful. Your healthy body will thank you. And you’ll be relieved to know that you’ve finally distanced yourself from something that was harming you. 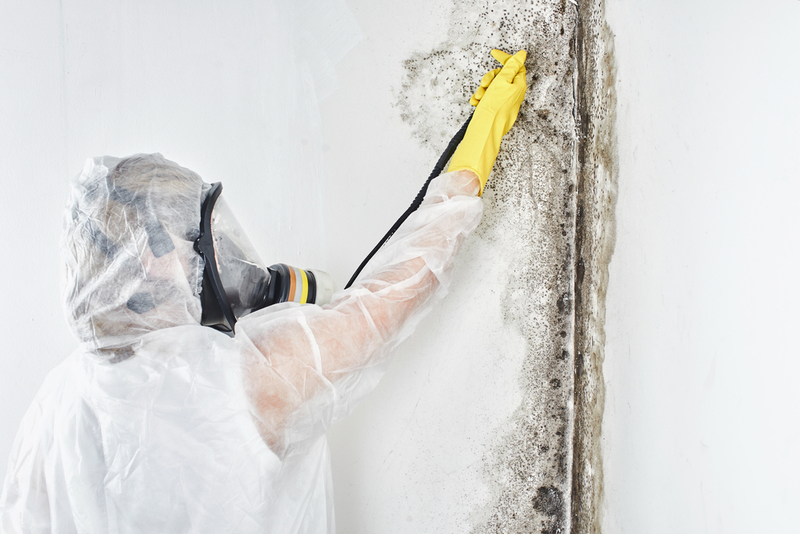 Get Mold Help from A Plus Mold Remediation Inc.
Do you think you may have a mold problem in your house? Don’t worry! Dealing with mold in homes is our business! Just give us a call here at A Plus Mold Remediation Inc. Our job is to make sure your home is safe from the harmful effects of toxic and household mold. If you need help cutting ties with mold, we’re the right ones for the job! Let us get rid of the problem so you and your family can start this year off the right way: mold-free! **Originally posted on January 14, 2019. Revised on March 12, 2019. ← Buying a New Place? Get a Home Mold Inspection First!